Carnivius_Prime wrote: Ok I'm gonna have to buy Grimlock now and also that new DNA Design upgrade kit with the two posable hands, actual spikey mace on chain and new tail and other such additions. 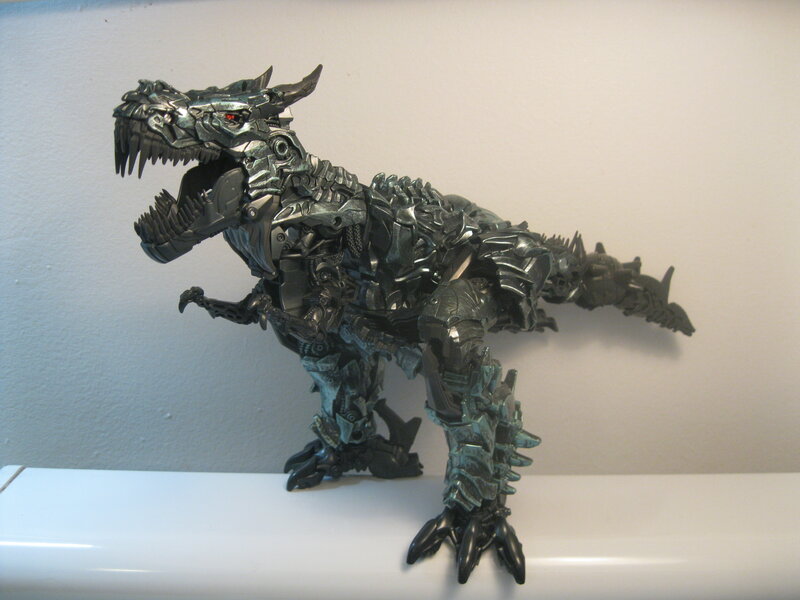 What's the cheapest that Grimlock retails for in the UK? Thats a rather fair price, considering it includes taxes (and no shipping) and that thats around the same MSRP of previous leaders even though this line has gotten a price increase in most international markets. Hm thought it might be good. Yeah £54.99 seems to be price of Leader class whether movie or Power of the Primes/Titans Return (the Forbidden Planet store I was in today had PotP Optimus and Rodimus Prime and Titans Sixshot for £54.99 each. They had Studio Bee and Ratchet for £22.99 each) so I might go with this online retailer for Grimmy then. Photo of Sixshot, Ratchet & Bee. Sixshot overpriced especially since he's been spotted (by myself and others) for as low as £14.99 in B&M stores while stocks lasted. So Leader Grimlock for a couple quid less than retail price and actually sent to me for free? Sounds like a good deal. 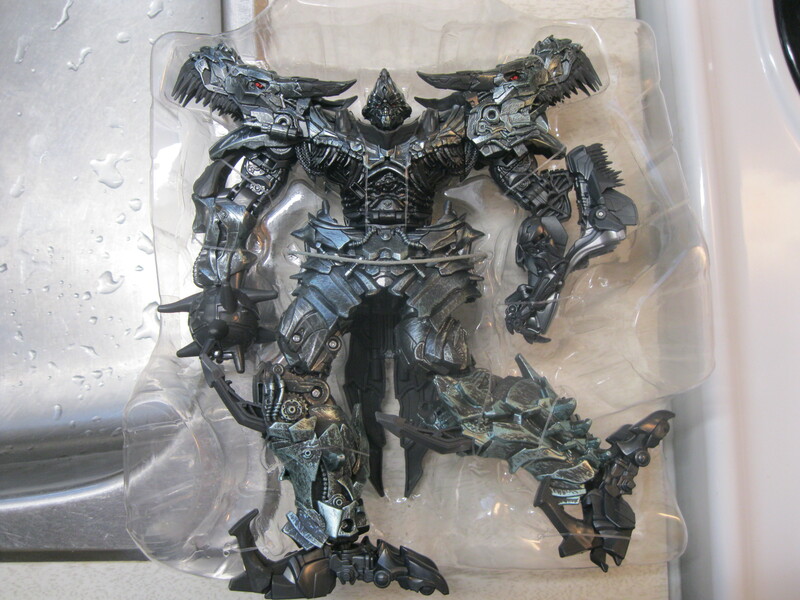 Wish I knew the price of the Grimlock upgrade kit and which UK online retailers will have it. 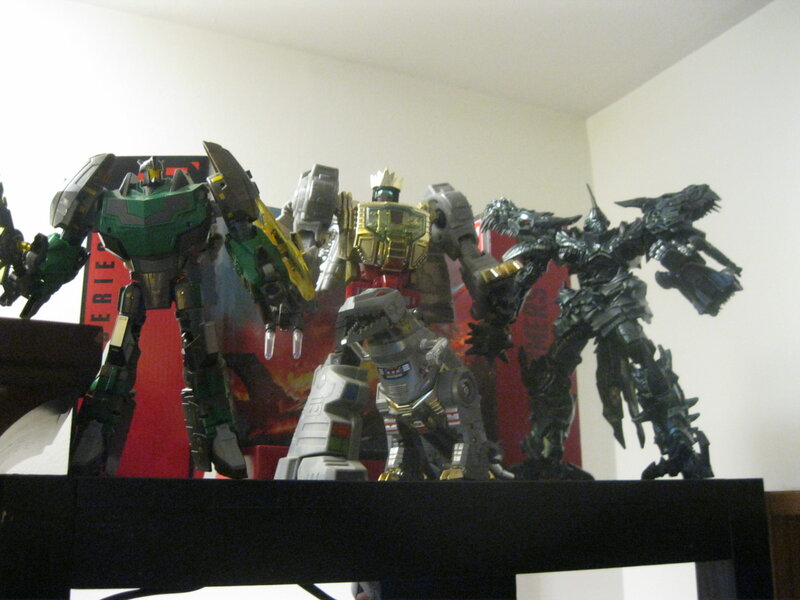 But yeah maybe I'll be ordering Grimlock real soon. Thanks. Autobot Roadburn wrote: To be honest though I'll probably grab one of these guys if I see him. He looks alright, I love the mold already and I'm trying to go completist on the line as it is. 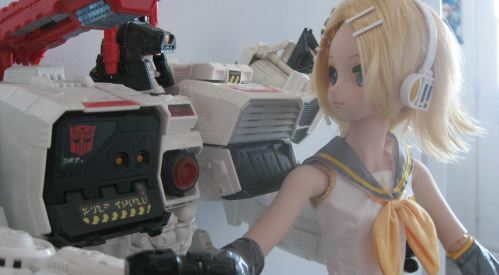 Now if I can just modify the one I have to fold his backpack up like the masked Prime in the pictures I'll be all set. I like it but not if storing the swords on the back since obviously they'll stick out at an angle that way. I didn't want to force the plastic and risk stressing it so I cut down the right angles on the blue plastic that were the problem. Just used an X-acto knife, took me 5 minutes. 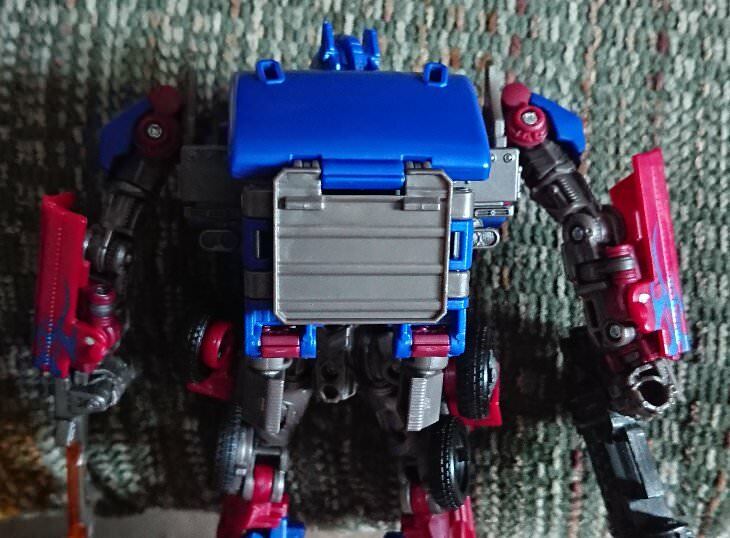 Definitely an improvement in my eyes; the backpack sticks out a little more but it really improves his silhouette from the front. Autobot Roadburn wrote: I didn't want to force the plastic and risk stressing it so I cut down the right angles on the blue plastic that were the problem. Just used an X-acto knife, took me 5 minutes. Definitely an improvement in my eyes; the backpack sticks out a little more but it really improves his silhouette from the front. It did feel oddly satisfying the way they felt when being pushed inwards... I dunno how to explain it. Following up on some of the "Dreads" talk from earlier, I finally got around to opening up Studio Series Crowbar. I'm quite impressed, overall. The vehicle mode shell is almost identical to TLK Berserker, but almost all of the robot mode parts are different. One huge improvement with Crowbar is that none of the vehicle panels pop off the robot mode limbs during transformation (or otherwise). It is a bit sad that the dreadlocks just kind of hang out the back of the vehicle mode like cans on strings for a "just married" couple driving away to their honeymoon. The robot feet are also pretty clearly visible in the back wheel wells in vehicle mode. I'd like to see this improved level of engineering on the mold used to make the other two Dreads down the line. 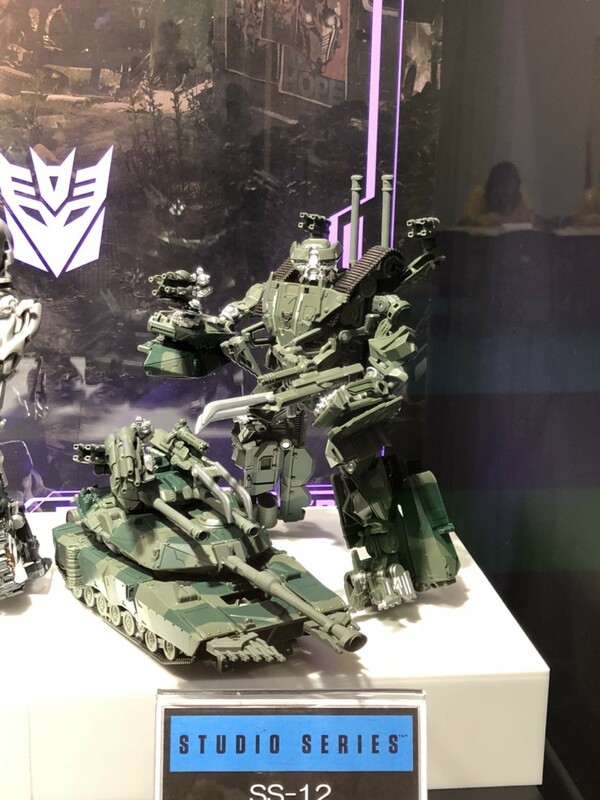 Or maybe they can reshell Crowbar with a run-down VW bus alt-mode for a later wave and give us a proper "Dreadbot?" Wolfman Jake wrote: I'm quite impressed, overall. The vehicle mode shell is almost identical to TLK Berserker, but almost all of the robot mode parts are different. One huge improvement with Crowbar is that none of the vehicle panels pop off the robot mode limbs during transformation (or otherwise). Think I got lucky with my Berserker. It's had a lot of play and transforming and slighty painting and a lot of Toyhax stickers applied and never had any part pop off even when trying to 'force' it. This is a MASTERPIECE disguised as a mainline figure! The sculpting is perfect. The paint is freaking PREMIUM. The engineering is simple yet damn effective. It was damn expensive at 80 leaf dollars and a half. But man, I don't regret it one bit. 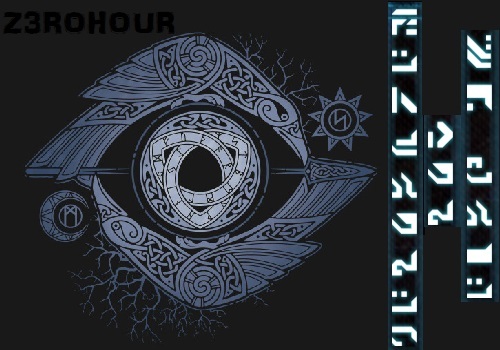 HasTak knocked it out of the park with that one! On a side note, the "skirt-flap" on mine is pretty tight and hold itself in place perfectly. I don't remember having seen this on the thread but here's Grimlock in his bubble. He's so big that he have to take a pretty funny pose in packajing. It's a great idea because it make for a smaller box and happier retailers. Overal conclusion: GET IT NAO! SS Grimlock is a figure that is worth not waiting for a sale. 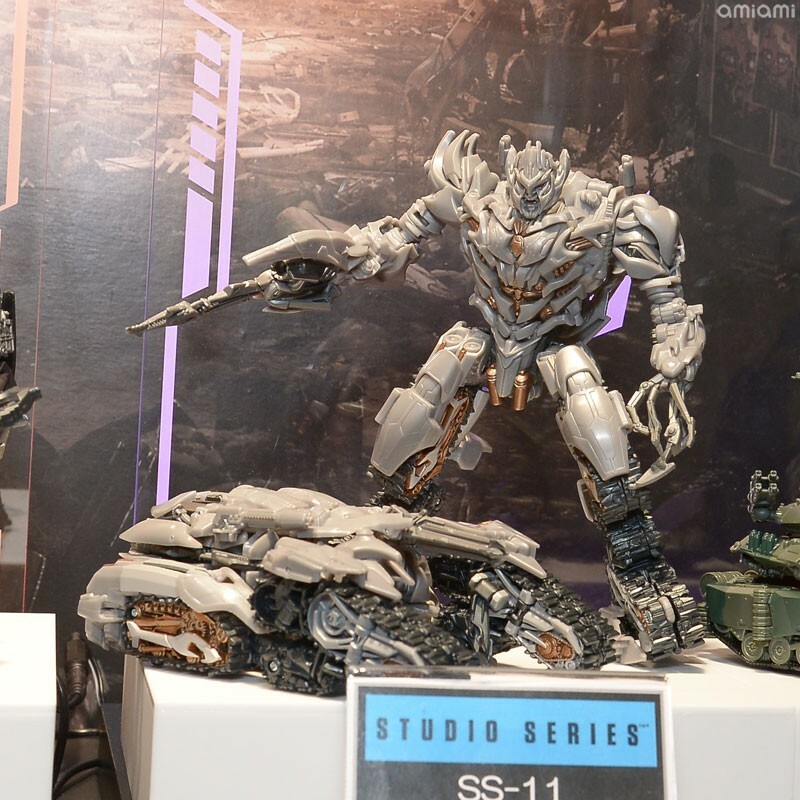 So far, I haven't gotten any of the Studio Series figures yet, though it's looking like only the Leaders really appeal to me enough to want to get them, but not necessarily because of their depictions in the films, but because of my possibly wanting to repurpose them as Beast Wars: Uprising characters. 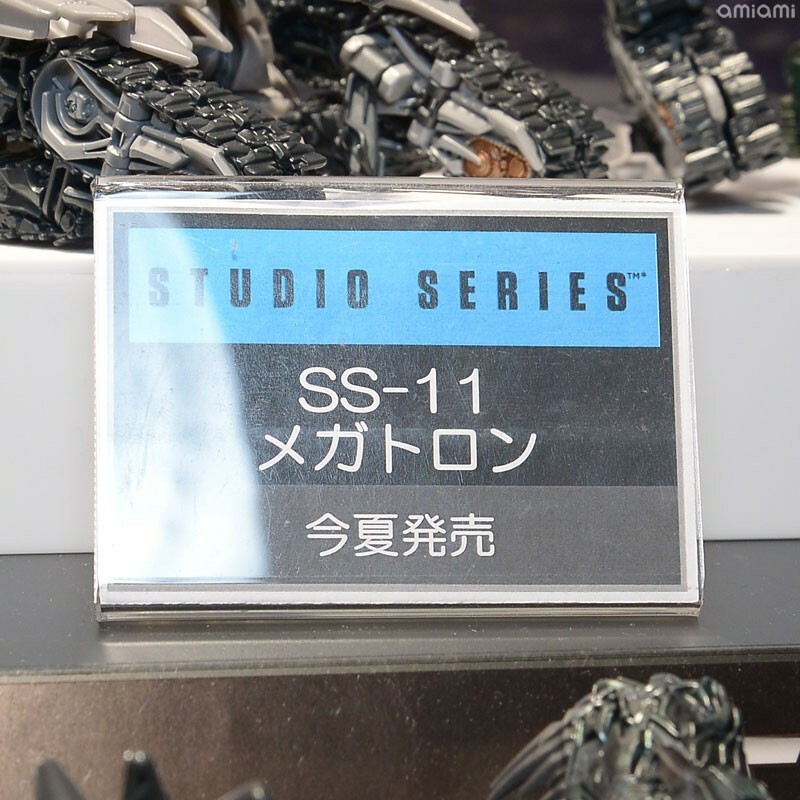 Sabrblade wrote: So far, I haven't gotten any of the Studio Series figures yet, though it's looking like only the Leaders really appeal to me enough to want to get them, but not necessarily because of their depictions in the films, but because of my possibly wanting to repurpose them as Beast Wars: Uprising characters. Voyager Optimus Prime is a quite a mixed bag: great transformation but skimps on a lot of the details in sculpt and paint. Don't let that throw you off the Voyager size class, though, because Starscream is fantastic! Seriously, even if you only kinda tolerate Starscream, this is the best version at this size we've ever gotten. Everything about the figure is terrific. 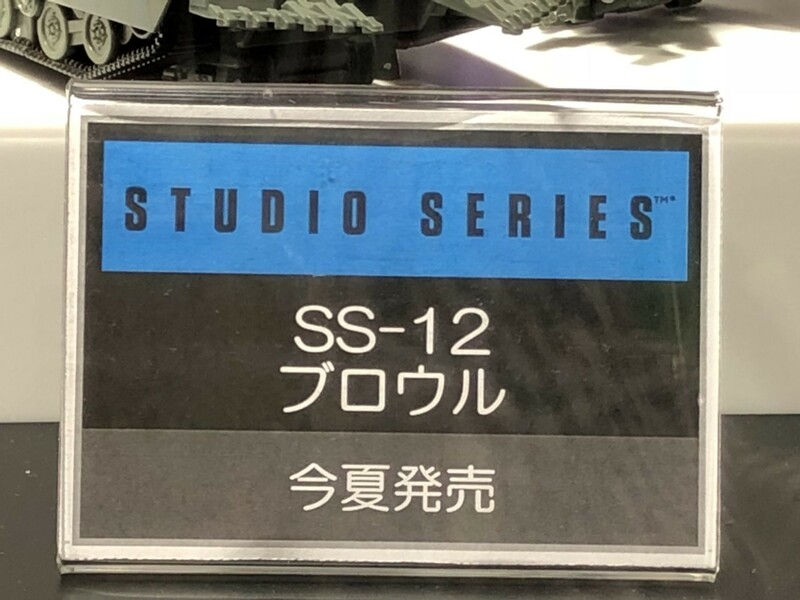 Also, I know a lot of people are down on the Deluxes of wave 1 of the Studio Series, but none of them are "bad" figures to me at all. They're not flawless, but I'm still quite happy to have them in my collection. I dunno if it quite masterpiece as it is but the DNA Design upgrade kit sure looks like making it such. Fine fine fine ordered me a damn grimlock. Ain't like I need to eat or pay my bills. Carnivius_Prime wrote: Fine fine fine ordered me a damn grimlock. Ain't like I need to eat or pay my bills. 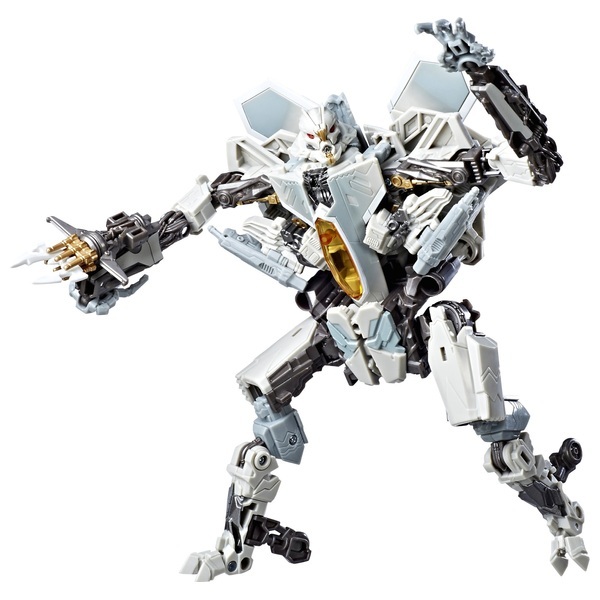 Smyths sell Voyager Prime and Starscream in stores. And yeah £52.99 with free delivery for Grimmy was cheapest i could find. 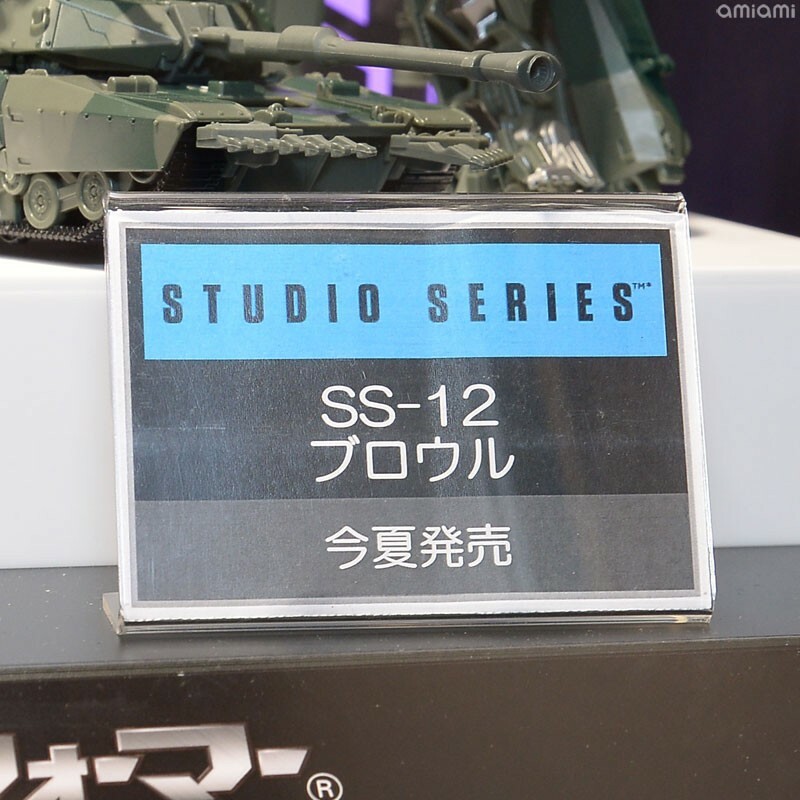 Thanks to Japanese sites covering the Shibuoka event - in this case Figsoku and AmiAmi.net - which has brought us reveals of the Takara Tomy Transformers Masterpiece MP-43 Beast Wars Megatron among others (see more here), we also have some nice images of the Studio Series line releases for Decepticons Brawl and Megatron, respectively in their 2007 live-action movie incarnation, and the Revenge of the Fallen one. 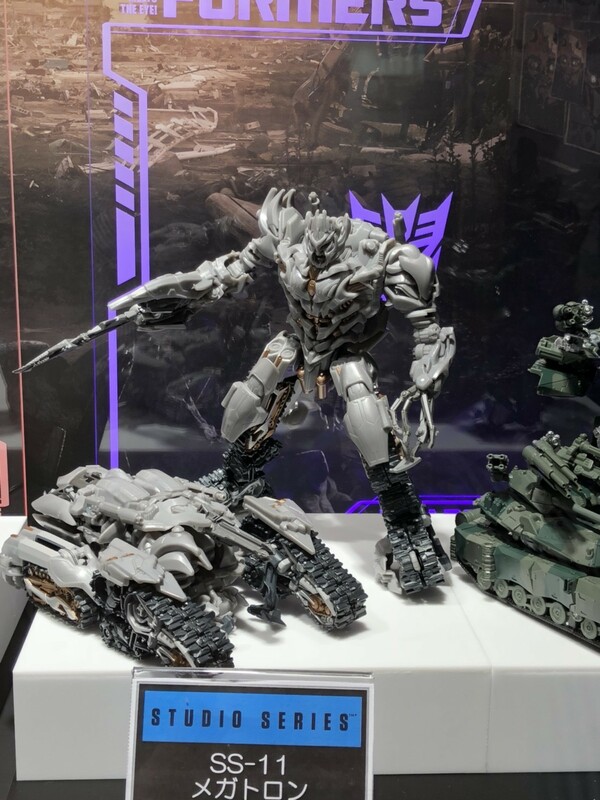 Check the images out below, taken at the display area at the event, and compare them to previously seen in-package and in hand shots here - what do you think? Are you excited for the release? Let us know in the discussion in the Energon Pub! I'mma need that Megatron now. Brawl is growing on me. 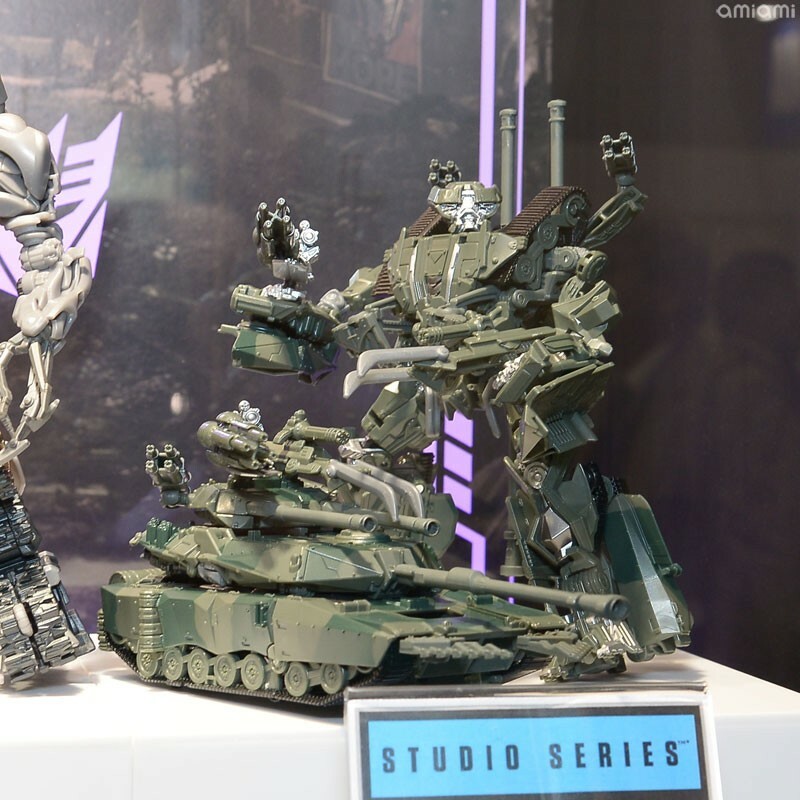 That Megatron is an absolute must. 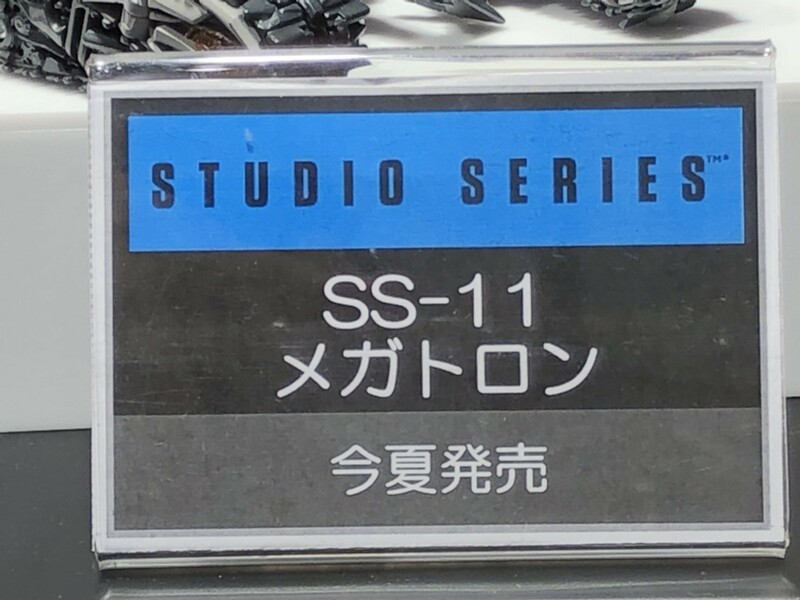 The SS line has really rekindled my appreciation for some of the movie designs. The Megatron is really growing me. I'm not 100% sold on Brawl (Devastator XD) but.... I think like I caved on Starscream in person... something will happen with Brawl. I still can't bring myself to buy Ratchet though. I know folks keep saying his paint is sufficient in vehicle mode, but robot mode (and especially his face) feel so... bland. Carnivius_Prime wrote: I'mma need that Megatron now. Well I stand corrected, hmm getting to my local symths is a pain but been a while since I've physically hunted for anything. I know others aren't fond of him but I like prime. Prime certainly has flaws but I do like it (especially after I've begun customising it somewhat). Even having got a (likely an incredibly good KO going by the price) Revenge Optimus Prime (Takara repaint of the old Battle Blades Voyager figure) this week I still like SS Prime a lot too. Revenge looks immediately more accurate (especially since it's far better painted) but there are some things it does better and some that the SS figure does better. Also I find the SS figure feels more solid and less fiddly than the Revenge figure can be. I'm glad to have both though. And yeah I've not actually seen a Smyths shop myself and still hoping one moves into the closed Toys R Us building in Cambridge but a friend of mine I talk to about toy stuff on DeviantArt (I wish he'd get a twitter or instagram set up cos i barely use DA these days) mentioned them being in there and buying some and they are both on the Smyths website too (as is the 10th Anniversary version of the 2007 Leader Prime curiously enough). 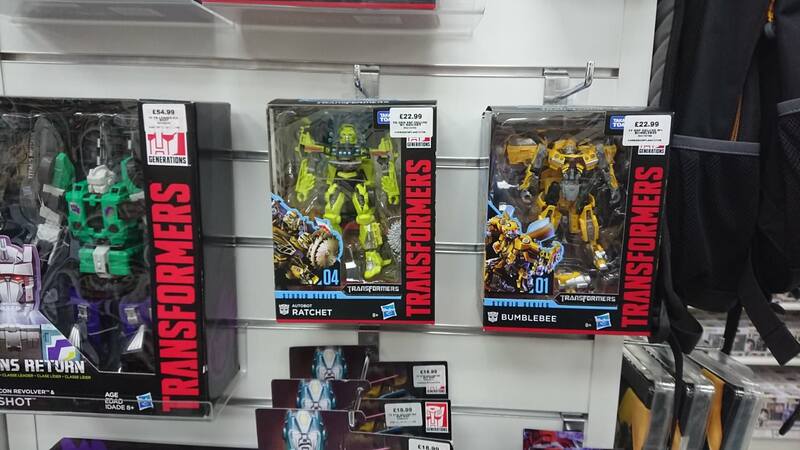 Out of the actual physical shops left in UK that sell Transformers, Smyths do seem to be among the best, if not the number one. Don't know if they'll stock Studio Leaders though. Their website has a Studio category and also £5 off when you spend £20? That sounds too good to be true.